The WN370 Wall Mount Access Point is designed specifically for in-room coverage for wired and wireless access for small and medium hotels and education dormitories. The WN370 has a sleek, elegant, and compact design that allows the AP to be deployed in an inconspicuous manner and can be installed quickly by non-technical personnel. The WN370 is powered with PoE with 1Gbps uplink and 4 (100 Mbps) Ethernet data ports, plus additional voice port for connectivity to digital phones. The WN370 is centrally managed by an enterprise class wireless controller with automatic RF and power tuning with guest captive portal and comprehensive wireless security. The aesthetically pleasing design of the WN370 allows the access point to blend nicely in the hotel room and school dormitories. 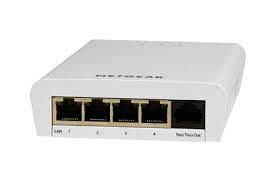 WN370 provides wired access directly to the users, where the traditional form factor Access Points are normally installed on the ceiling, away from the access of the users that need wired connectivity. The WN370 is installed with easy attachment to the junction box and appears with a nice decorative appearance. The WN370 can be installed easily and less than 5 minutes. The WN370 ships with mounting brackets and fits into both US and EU standard electric junction boxes. Only 4 screws are needed to reliably install the WN370 to the wall with low protrusion. The WN370 is powered via Power over Ethernet on the 1 Gbps uplink. Simply connect a Ethernet cable between the WN370 and a PoE enabled switch and the WN370 is up and running. There is no separate power cord needed. 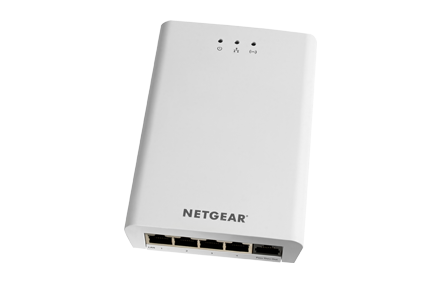 The WN370 is centrally managed by the WC7600 Wireless Controller. All of the configurations can be centrally configured and stored at the WC7600. Once the WN370 is discovered by the WC7600, it will receive the latest firmware and the updated configuration provided by the WC7600. The WC7600 will automatically and dynamically adjust the RF frequency and the output power of the WN370 to ensure optimal frequency reuse and the best power setting to provide ubiquitous coverage of the intended location. Comprehensive site survey is generally not needed, thereby making the installation and wireless design of WN370 as simple as it gets. 2019. április. 26. péntek, Ervin napja. Copyright © Lantel 2010. Minden jog fenntartva!